Welcome to the Spring 2019 issue of VoCA Journal, the third in a series on the stewardship of media arts, and the first to focus particularly on women practitioners in the field. The Summer 2017 issue of the Journal explored the dynamic landscape of media art preservation, while the Spring 2018 issue showcased the collaborative nature of media art production and care. Articles and interviews in this issue trace overlapping histories of women participating in the early video art scene in New York, the birth of feminist art collectives, and the importance of archiving and sharing this groundbreaking work. Two interviews featured in this issue discuss the importance of building and archiving collections of work by women in media art. Kate Lewis (Agnes Gund Chief Conservator at The Museum of Modern Art) interviews Barbara London (founder of the video exhibition and collection programs at the Museum of Modern Art) about the genesis of MoMA’s video collection. London came to video through research on sculptors who were also exploring video and was energized by the sense of experimentation: “I think in the early seventies video was a liberation for a number of artists actively working between disciplines,” she explains. London describes launching the video program at MoMA with a grant from the National Endowment for the Arts that enabled her to purchase equipment and establish relationships with colleagues in commercial media as well as across curatorial departments. She also reflects on acquiring the first videos for the museum’s collection, including Joan Jonas’ Vertical Roll, and the importance of collecting ephemera (exhibition announcements, posters, and press releases) as there were few publications on video art at that time; her forty years’ worth of accumulated files on media artists are now housed in MoMA’s library and available to researchers. In another interview, I speak with Kathleen Landy (Founder and President of The Feminist Institute) about the mission of The Feminist Institute, which aims to provide a major online repository for the study of feminist documentation. Kathleen Landy makes a similar case for archiving, digitizing, and sharing documentation of work by women working in media arts, particularly the generation that started out in SoHo in the 1970s and 1980s and is now entering a later phase of their careers. Our conversation includes discussion of a recent project to document Mary Beth Edelson’s studio with a 360-degree camera and scans of ephemera and works reflecting a half-century of influential work, supplemented by new archival research by art historian Kathleen Wentrack. The unique challenges of preserving media art are discussed in articles by Martina Haigvogl (Associate Conservator of Media Art at the San Francisco Museum of Modern Art) and Mark Hellar (a technology consultant for media artists and art museums). In a text that takes the search for a missing master of Shirin Neshat’s film Passage as a case study, Haidvogl unpacks the complexities of migrating works across media. Interjections of responses by Neshat during the process reveal an intensity and urgency inherent in this undertaking. Hellar discusses his long-term collaboration with Lynn Hershman Leeson, who ingeniously secured funding to create Agent Ruby, a viral internet bot who talks to people online, by writing the character into a digital film and casting Tilda Swinton to play multiple roles. Hellar explains that when working with Leeson in her studio, he suspends his preservation concerns to allow for all possibilities within the creative process, returning to his role as caretaker once the work is complete. 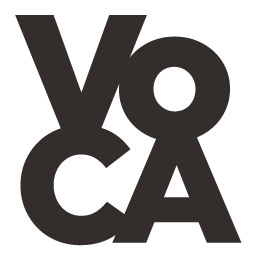 VoCA Journal launched in Fall 2015 as an online platform for artists and their collaborators. It has been heartwarming to share the reflections of artists, curators, conservators, educators, archivists, art historians and others engaged in contemporary art stewardship. We are consciously pursuing a more inclusive approach to this publication and it has been rewarding to devote this issue to the contributions of women working in media arts with an unabashed and big-tent feminist agenda. We know that we have only scratched the surface and are committed to continuing to highlight inroads in this important and inspiring work. This issue of VoCA Journal is a watershed moment for us in another way. Thanks to the generous support of the following donors we are able for the first time to fairly compensate our authors and publicize the Journal to a wider audience. We would like to thank Fotene & Tom Cote for their lead gift, with additional support provided by The Rosenkranz Foundation, New York City Department of Cultural Affairs in partnership with the City Council, and Small Data Industries. Cite this article as: , "Editor’s Note," in VoCA Journal, March 20, 2019, http://journal.voca.network/editors-note-3/.